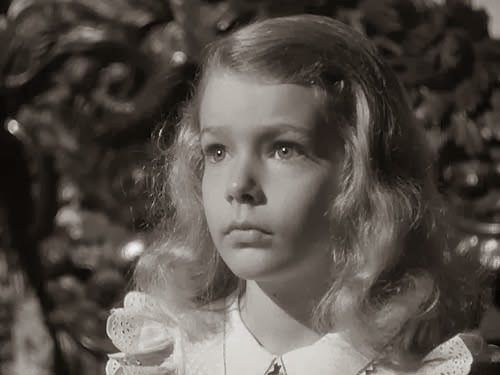 I was informed this afternoon by her daughter, Carol Newton Brown, that her mother, the former child actress Ann Carter passed away on January 27 after a long battle with cancer, at the age of 77. We all loved Ann particularly for her touching performance as little Amy Reed in the Val Lewton production THE CURSE OF THE CAT PEOPLE (1944), co-directed by Robert Wise and Gunther von Fritsch, but she also appeared in smaller roles in other notable fantasy films, including Rene Clair's I MARRIED A WITCH (1942, recently issued on Blu-ray by Criterion - she plays the broom-riding daughter of Veronica Lake and Fredric March), Joseph Losey's THE BOY WITH GREEN HAIR (1948) and Tay Garnett's A CONNECTICUT YANKEE IN KING ARTHUR'S COURT. She also appeared as an interviewee in the 2007 documentary VAL LEWTON - THE MAN IN THE SHADOWS. 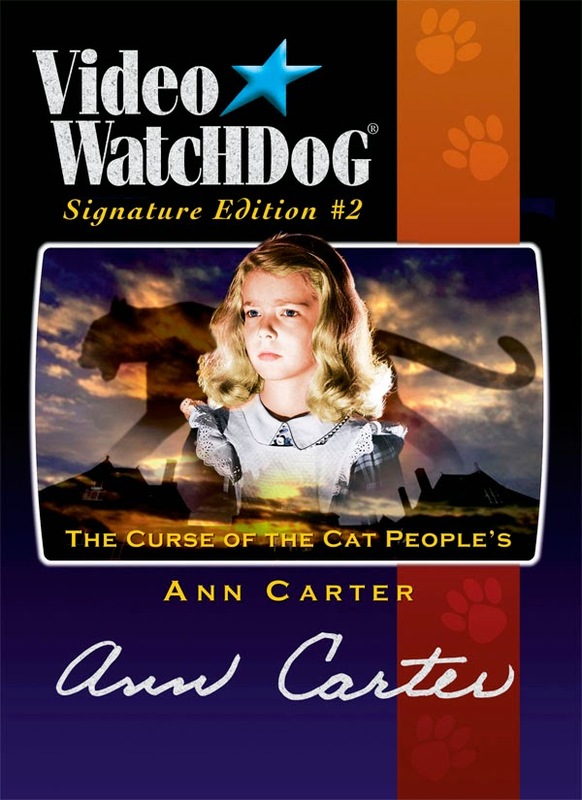 Donna and I got to know Ann shortly after we accepted Tom Weaver's excellent interview with her, which appeared in VIDEO WATCHDOG 137 - which we published in two versions, the second being VIDEO WATCHDOG's second (and last to date) "Signature Edition." She had been diagnosed with cancer even then, in 2008 - she discussed it in the interview and insisted we publish a photo of her as she was, minus her hair, because she had won the upper hand through chemotherapy and it represented a victory for her. She was a spirited and dear lady, very appreciative of the essay I wrote about her performance for that issue, and we so enjoyed the contact we had with her. When I made the announcement of her death this afternoon on my Facebook page, it prompted an sudden outpouring of respect and affection for Ann, some of whom exclaimed "My friend!" - quoting one of her indelible, heart-tugging lines from the Lewton film. And so she was - not only our friend but, for many of us, our representative as an imaginative child shown coming to grips for the first time with the vagaries of a strange and secretive adult world. It's a performance that, by its very nature and her (and her directors') extraordinary sensitivity, will never lose its relevance nor admirers.